By Alison Bennett / June 25, 2015 / Bookmark the permalink. This series of online interactive & touch screen works considers the convergence of biological & digital skin as virtual prosthesis. Reworlding (Elizabeth) was awarded for Innovative Use of Digital Media at the 2016 CCP Salon, included in ‘Crossroads’ at the San Francisco Museum of Modern Art, & long-listed for the 2017 Lumen Prize at V&A Digital Futures. 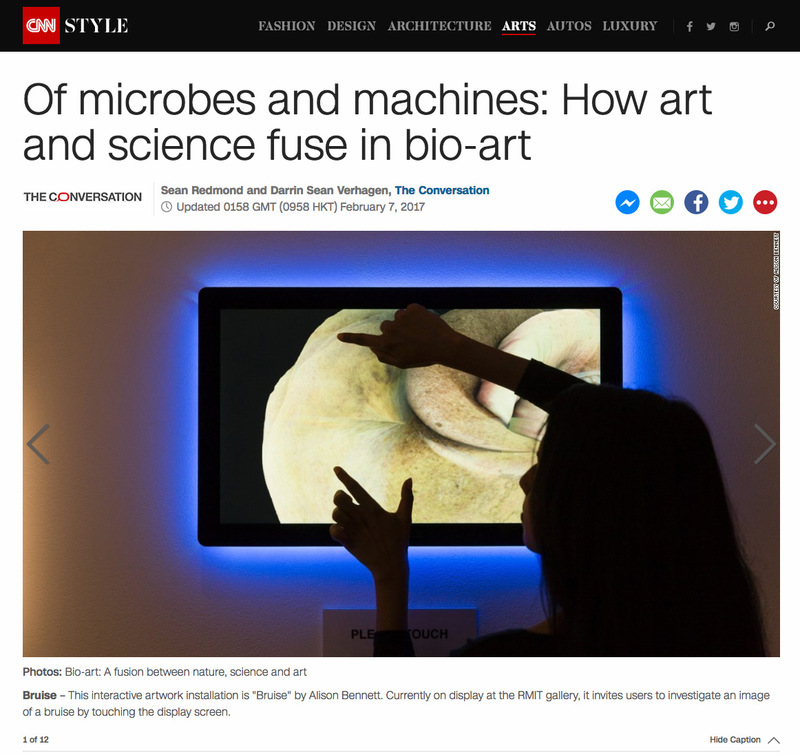 Bruise, exhibited at RMIT Gallery as part of ‘Morbis Artis’, featured in an article about bio art on CNN. Works from the Wrap series were included in #nfcdab wrocław biennale of digital & internet art in Poland. Reworlding (Elizabeth) is an online interactive collaborative work by artists Alison Bennett and Greg Penn, with writers Jeremy Martino and Autumn Royal. 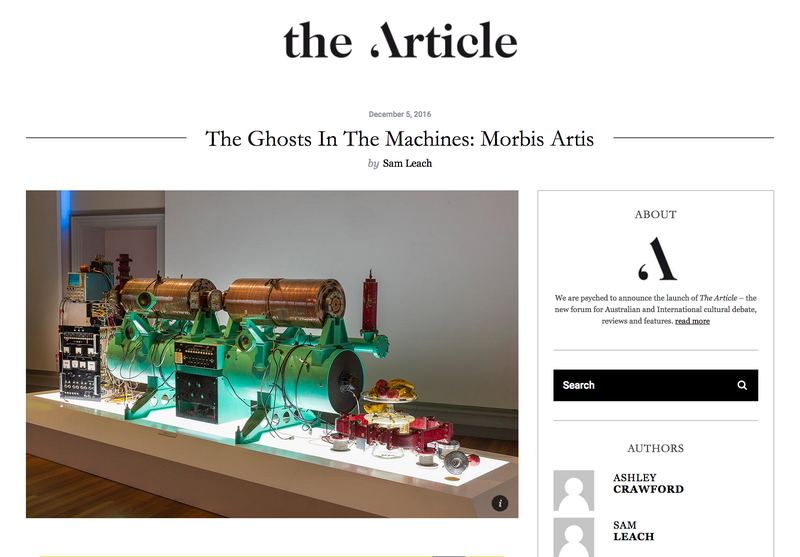 The work offers a multidisciplinary investigation into the concept of digital-hybridity and artificial intelligence. The collective process in producing the work imitates the technological and physical layers we often encounter to expose the limitation of the dichotomy between the representational and the real.’ Reworlding (Elizabeth) won the Centre for Contemporary Photography Salon Award for Innovative Use of Digital Media in 2016 and long-listed for the 2017 Lumen Prize.